Reports in the British media suggest that Manchester United are set to part company with Spanish playmaker Juan Mata this summer and that Premier League rivals Everton are on the verge of signing the former-Chelsea star. Henrikh Mkhitaryan, according to Dortmund his former-club. United boss Jose Mourinho also sold the 28-year-old when at Chelsea, so it is fair to say that Mata’s chances of surviving do not look good. Everton have undergone a transformation this summer, as majority shareholder Farhad Moshiri has taken the lead from chairman Bill Kenwright. Moshiri captured high-profile boss Ronald Koeman from Southampton and has armed the Dutchman with a big transfer kitty this summer. Koeman was attracted to Merseyside by the fact that the Toffees were prepared to think big and a move for Mata would be a big deal. Mata is a seasoned Premier League campaigner, but is in the prime of his career. The Spanish midfielder has worked with Koeman before at Valencia and has stated his admiration for the Dutch boss. He proved at Chelsea just what he can do when allowed the freedom to play his own game. The former-Valencia playmaker would be an absolute star for an Everton that has under-achieved for far too long. He is the sort of player that excites fans and is a match-winner. He may be considered a slight luxury player, but he is a top drawer performer. 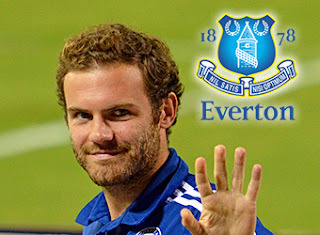 Mata is the sort of player that Everton can build a team around and would be the perfect signing to signal the dawn of a new era on the blue half of Merseyside. Whether this is just paper talk or it really will happen Juan Mata is the calibre of player that the Toffees should be targeting if they are to bring the glory days back to the club.